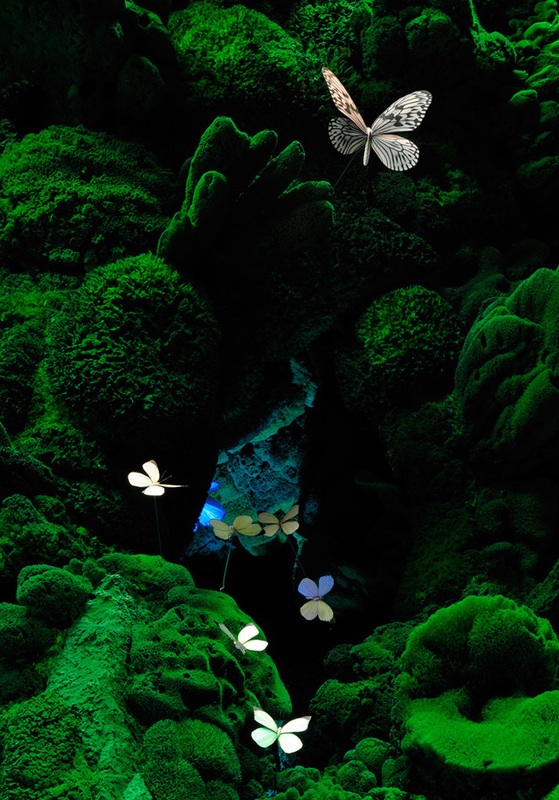 The Johnny B. Butterfly Pendant Lamp is a new release by Ingo Maurer, the "Poet of Light", one of the most prolific and respected artist/designers working today. 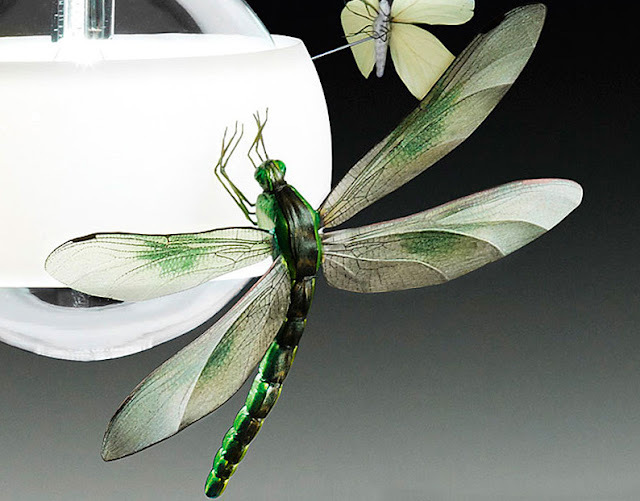 Beautiful in its simplicity, the Johnny B. Butterfly Pendant Lamp, essentially an oversize bare light bulb, was circled by delicate handmade insects, each a work of art in its own right: a dragonfly and butterflies displaying intricate details and wonderful deep color hues. 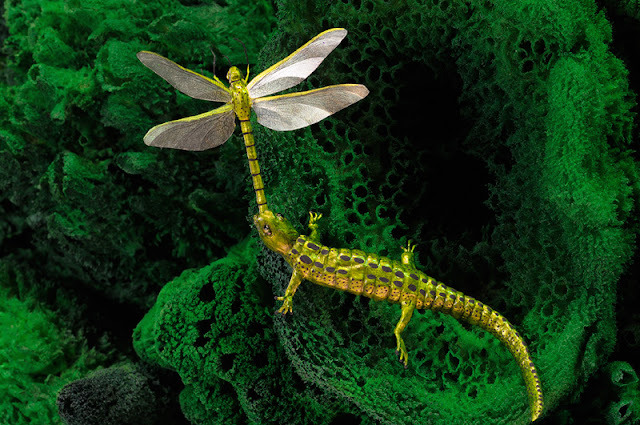 One can't help but wonder how the real things would react to the colorful decoys. A piece of art, it has been featured by Sotheby's which says a lot about it's potential. 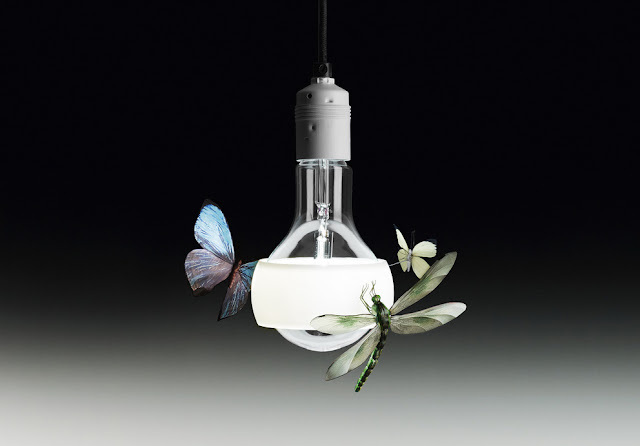 Two butterflies and a dragonfly circling around a light bulb! 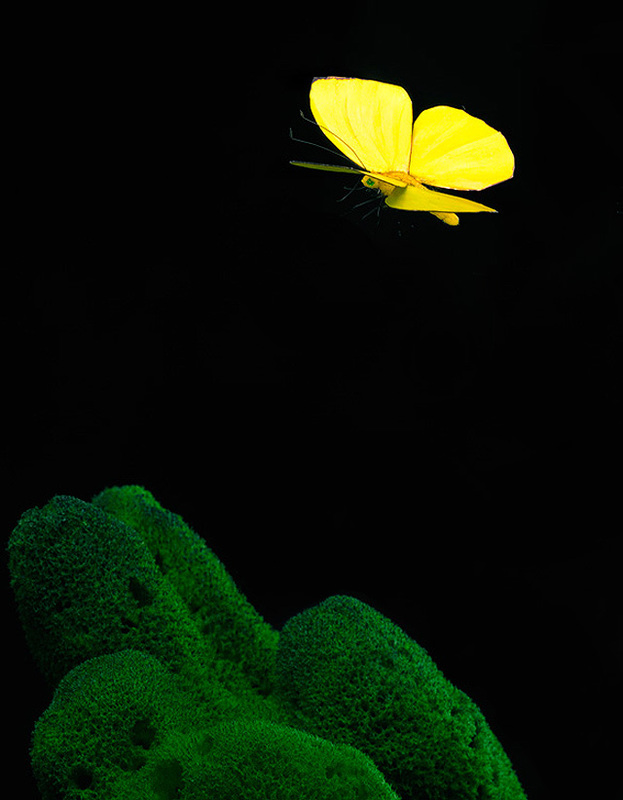 Johnny B. Butterfly is available in the US through modern design purveyor Stardust. 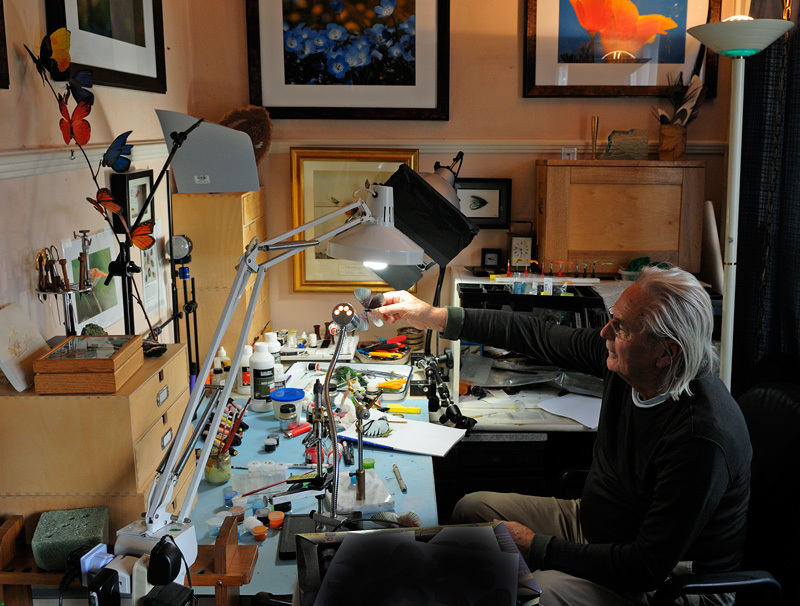 The insect models are handmade by, Graham Owen, a brilliant American artist in his own right. 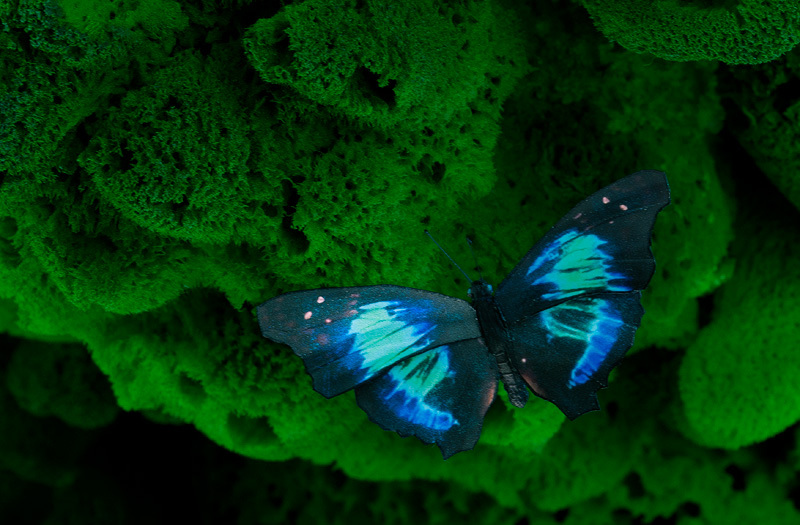 Ingo Maurer discovered the insects during his work on a large One-Off object made with natural sponges dyed green. 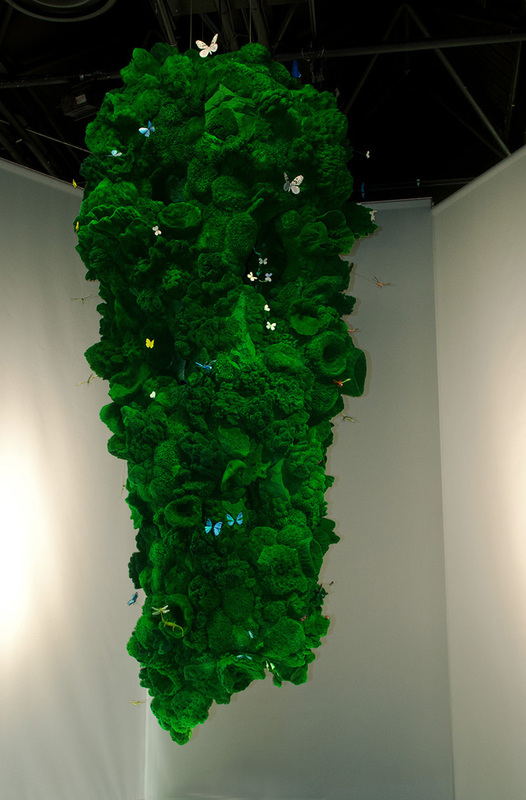 In April of last year, it was on display at Ingo Maurer's exhibition at Spazio Krizia in Milan. Johnny B. Butterfly features a 105 watts bulb which is made especially for Ingo Maurer GmbH and belongs to energy efficiency class C, which conforms to EU guidelines. Designer Ingo Maurer recently was awarded the prestigious Compasso D’Oro for his career. Issued by the Italian Association for Industrial Design, ADI, the award is one of the highest accolades an industrial designer can attain. At the award ceremony, which took place in Rome on July 12, he said, "I feel like Roberto Benigni receiving an Oscar".